Bees, wasps, and hornets, oh my! A different way to look at creativity. So bees, wasps, and hornets have been on my mind lately. The fun bit was how they figured it out: honey started dripping from a crack in the ceiling. Now I love bees. The humble bumble is a wonderful conundrum. While I’ve heard since childhood that bees shouldn’t be able to fly, they clearly do. They are very important pollinators for plants and several kinds produce lovely honey. There are stingless bees, but of the bees with stingers, it’s not their first instinct or line of defence to sting. When they sting, they die, the stinger ripping out the bee’s venom sac in the process. Because of this, though I know it’s a shameful anthropomorphization, I like to think of bees as pacifists, who in the defence of their hive nobly sacrifice themselves for the greater good. They’re diligent workers and great creators of communities. I don’t mind bees. If they come around, I let them have a sniff, realize I’m not a flower, and move on. No need to swat. I’ve been noticing recently that there are a lot of wasps around and just last week, I saw this article on The Weather Network. Now wasps retain their stingers and can sting you repeatedly. They don’t have to worry about dying. Though I know you should stay still and mind your own business, but it’s difficult to do. If you’ve ever been stung by a wasp, you know what I mean. It’s pretty painful. They’re cool in their own way, but I don’t like the mean streak. Hornets are big wasps. Their poison is a lot more painful too. A friend of my mom’s was out in her back yard, gardening. She dug into the soil … and pierced a hornet’s nest. The poor woman was stung over every inch of her body. She was so swollen that she couldn’t move her fingers for the better part of a week. My mom and a couple of other friends had to go over and do her groceries, help her cook, and do her dishes. 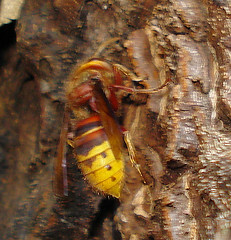 Hornets are the warriors of the bee/wasp world. Are you a sweet, humble bumble? Do you get aggressive with challenges like a wasp? Or are you an arts activist like the hornet? 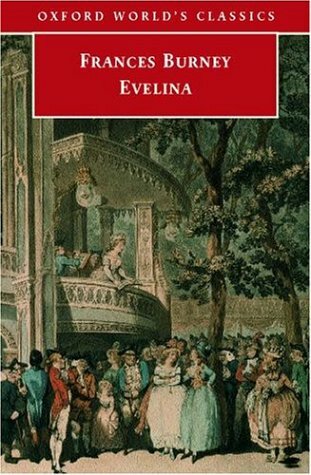 I just finished reading Fanny Burney’s Evelina. It was a hold-over from my university days, a book I hadn’t completely read (sorry Dr. Orr). I just didn’t have the time. With a full course load of English and other humanities, I often had 20 to 30 books to read a semester. I had to choose my battles, and unfortunately, Evelina was one I retreated from. I skimmed, read bits, enough, I thought, to participate in a class discussion. I should have read it, but I don’t know if I could have appreciated the novel then as I can now. We all grow up eventually. The fact is I loved it. Couldn’t put it down. It’s a bit surprising. Burney wrote her novel in the epistolary style, that is, as a series of letters between characters. I started reading with a certain apprehension. I mean how exciting could letters be? Really, it’s just a bunch of exposition, of telling, one of the cardinal sins of writing. The truth is I found Evelina compelling. What I learned about storytelling: it’s not essential to be with your characters every minute of every day. In choosing which parts of the story to relate in the letters, Burney chose the best. Though a romance, and a novel of sensibility, every scene moves the plot forward, presents a new challenge, or a revelation. Burney tipped her hat to the pastoral romances of the Renaissance with her protagonist, an orphan, whose mother died in obscurity, rebuffed by a man who refused to acknowledge their marriage. There is mystery and intrigue. Evelina discovers a brother she never knew, is perused by several men, only one of whom has any idea of what is truly proper. It’s a novel of class, showing that the humble peasant raised in retirement can be more noble than lords and baronets and that the unworthy can rise to prominence through marriage and scheming without ever being truly improved by their circumstances. Satire is a man’s weapon, but Burney puts it in full control of a wonderful supporting female character. No one is as witty as Mrs. Selwyn 🙂 The crass and coarse are taken to task, and through it all, Evelina perseveres, tries to do what’s right, and is rewarded for her virtue in the end. I know, it doesn’t sound compelling, does it. But it is. Read it. You’ll see.